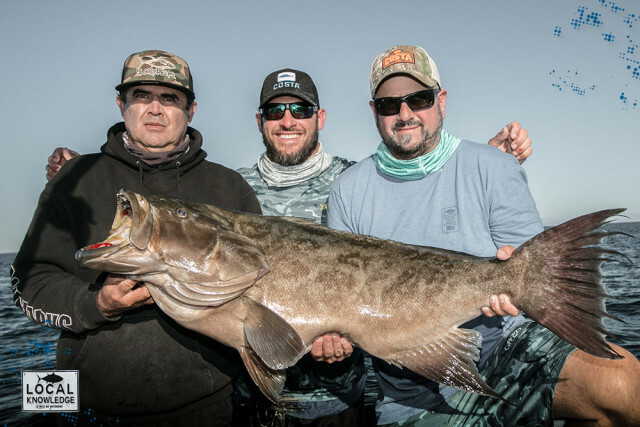 Captain Rush Maltz is co-host of the new fishing show Local Knowledge and shared a few minutes with us to share some thoughts about his background and fishing. Q:How did you get started in fishing? A: I got my start fishing, and diving. Growing up in Key West, Florida in the 80’s-90’s, the ocean was my playground! We didn’t have malls, skate parks, or amusement parks to go to. For us just to get to the mainland was a 3-hour drive. Every weekend, every summer, and many a day after school I spent out on the water. Q:There are so many characters in the realm of fishing, who do you look up to or admire? A: When it comes to the fishing world, and whom I admire I would have to say it’s all the young children I take fishing. The look on a 6 year olds face when he or she catches their first fish is absolutely priceless. No ego’s involved, no expectations, just pure joy and excitement. That really is what the sport’s about. 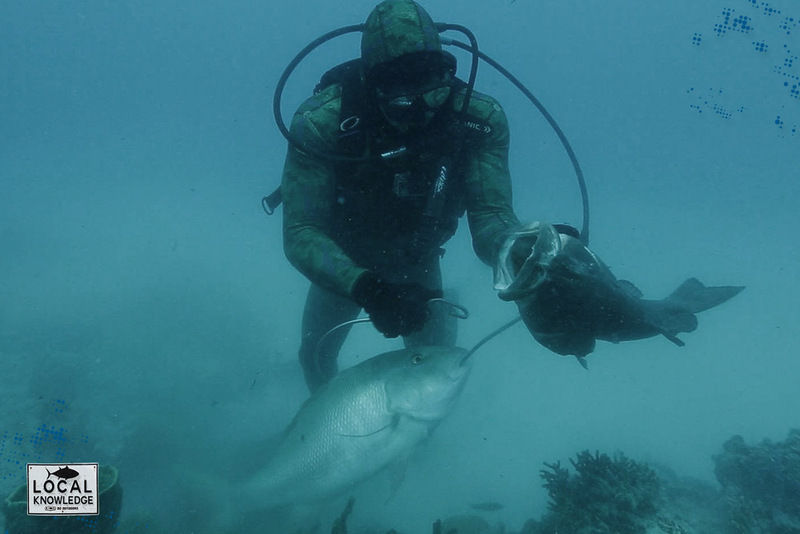 Q:I know you are a big diver, how does that play into your fishing mentality? A: Growing up diving played a huge role in becoming a fisherman for me. Truth be told, when I was younger I didn’t really care too much about fishing; all I wanted to do was dive. Spending all that time in and below the water really gave me a kind of intimacy that is priceless to this day. When you are in the water you become part of the environment whether it is a reef, a wreck, or kelp patty. I was able to see first hand how fish react in their habitat, on certain tides, which area of the structures they like to hang around, and more importantly, why. I also learned what time of year that certain species would move in and out of specific areas. Take all that information, and apply it to a fishing scenario and I know exactly how to set the boat up on a spot, what bait the fish are feeding on, and on which tide they are most active. It helps me know when to be fishing a certain spot, or more importantly why not to be fishing that spot. Q:Could you describe your bucket list in fishing, what is near the top? 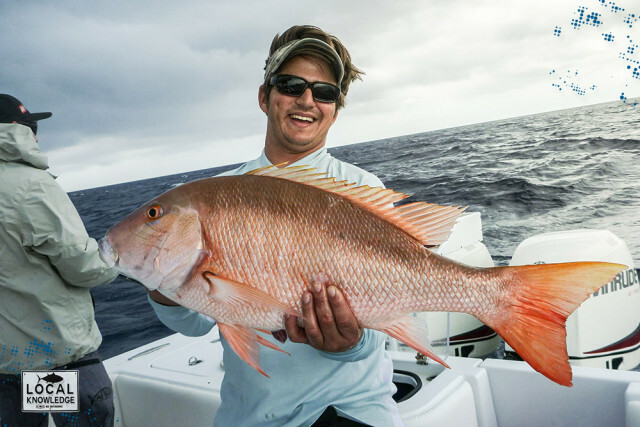 A: As far as South Florida goes I’ve pretty much caught all my bucket list fish. I’m still waiting on a big swordfish. I’ve had my shots but haven’t been able to seal the deal for one reason or another, but that day will come. As for outside of my backyard, I would say at the top of the list is a true cow yellowfin tuna! After that I would say it would be any fish that I have never caught. I’ve pretty much “seen it, done it” here in my back yard! Now it’s time to visit and explore as many different fisheries as possible at this point of my life. I don’t care if it’s catching bait, or 1000-pound black marlin. 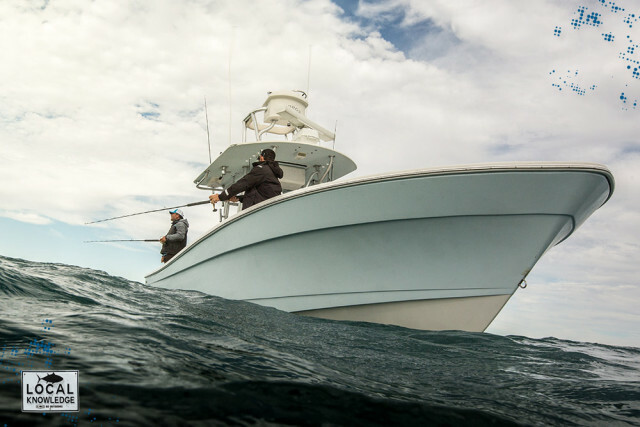 Q:How do you go about deciding what boat to buy for your charter business and what factors are key when rigging it out for your fishing in the Florida Keys? A: There are many factors that go into choosing the right boat for me, but number one are the livewells, I am pretty much going to take my livewells, and build a boat around them. When fishing in South Florida and the Florida Keys, having healthy live bait makes or breaks you. Draft: Draft is a huge consideration for me when choosing a boat for my charter business. Sixty percent of my season is spent in less the 24-inches or less of water every morning catching fresh, live pilchards for the day’s excursion. 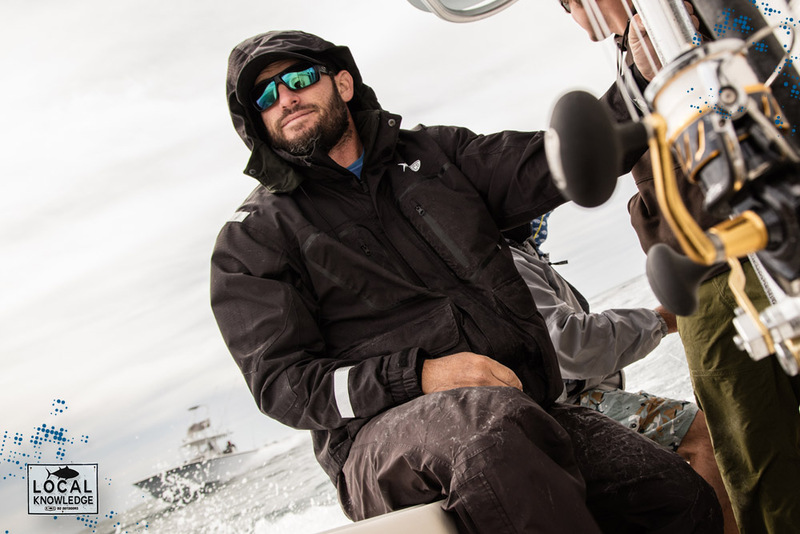 Ride: Spending 200-plus days a year on my boat, you can pretty much say it’s my office. I need a boat that’s not going to beat me and my customers up, and offers a dry comfortable ride so I can I get up and go day in and day out. Wide Open: Fishability is a huge factor in considering a boat for my charter operation. I need a boat that my customers, and myself can maneuver around 360 degrees. It needs a bow capable of fighting a fish around, yet still high enough to punch through big seas, wide enough gunwale, for me to comfortably walk down with the cast net, without compromising interior space, especially around the console. 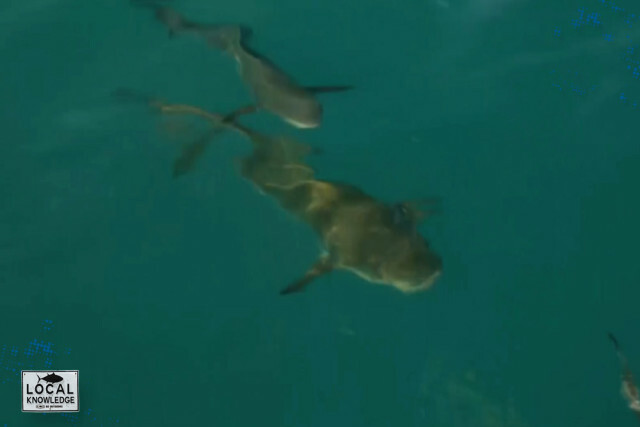 Maneuverability, and nimbleness are key factors when it comes to fishability as well. Fishing Lay Out: The first thing you will notice when you step on to one of my boats is that it has one purpose. It was built to fish!!!!! Everything is laid out to my specifications, Fish boxes, rod holders, configuration of electronics, live well size, and drainage, I even go as far to make sure certain hatches open certain ways for access of certain fish. 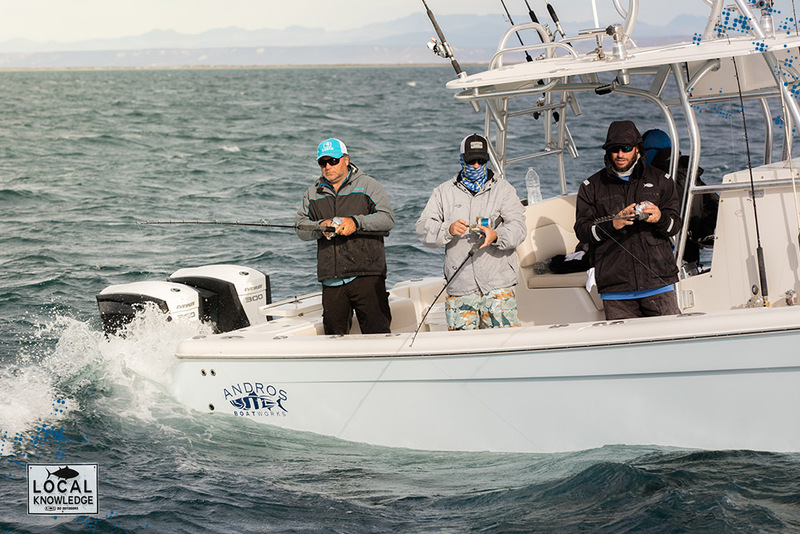 The Andros 32 Offshore has been the best boat for what I do. It combines all of my required features into a well-built and good looking package. Performance, reliability, and economy are all huge factors for choosing engines. First of all, there are only 365 days in the year. From the viewpoint of a professional fisherman, if I start loosing days due to mechanical problems those days are gone! I can’t get them back or the money I would lose. So I need engines that are going to be reliable day in day out, and are capable of working as hard as I do. With fuel being my biggest daily expense, fuel economy is a huge factor for my business. I need motors that provide lots of power, and torque, without draining my tanks to provide it. Bottom line is if I can run a motor that is reliable and, provides 20-30% better fuel economy it’s a no brainier which motor will be on the back of my boat. 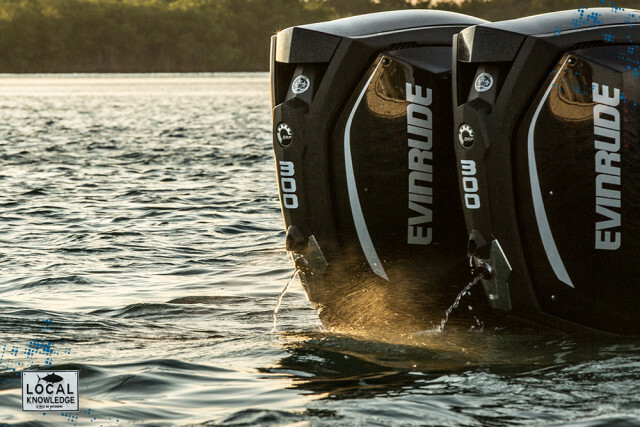 I have been fishing with the new Evinrude E-TEC G2 outboard engines and they have fit that bill to a T.
Q:Hypothetically, If you could only have one piece electronics on your boat, what would you choose? A: If you told me I could only take one piece of electronic equipment fishing with me everyday. Hands down it would be my bottom machine. It’s your eyes below the surface. I’m glued to that screen all day looking for structure, fish and bait. All the things that make up the perfect environment to get the job done! Thanks to Rush, co-host of the new hit fishing show, Local Knowledge. Local Knowledge Episode 2 Teaser In the world of fishing, the key ingredient for success is local knowledge.